The Royal Police of Malaysia wanted to collect data from police and citizens to find the best performing police stations in Johor, a state in Malaysia. They partnered with Frost & Sullivan and SocialCops to build a data-driven scorecard comparing each of Johor's 98 police stations. 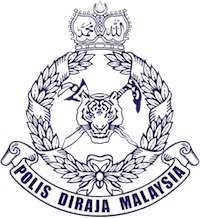 The Royal Police of Malaysia wanted to understand the best performing police stations in Johor, a state in Malaysia, based on employee and citizen feedback. 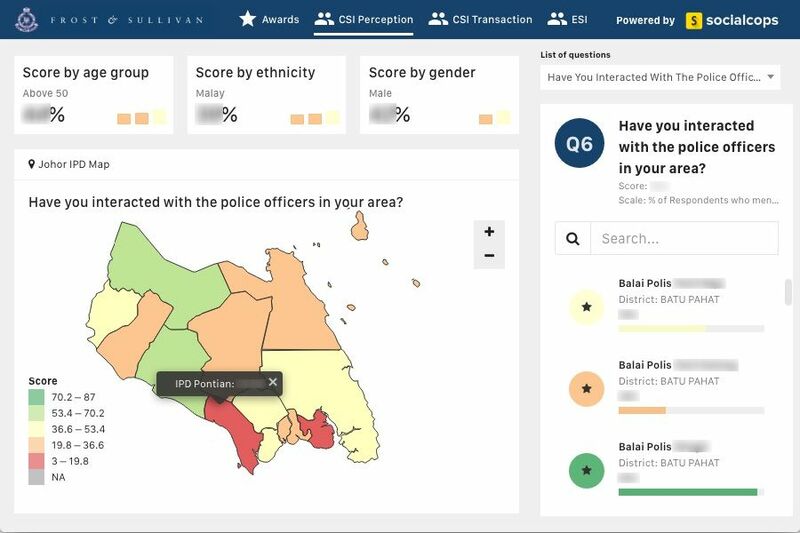 The Royal Police partnered with Frost & Sullivan and SocialCops to help the Johor Royal Police collect comprehensive data and identify the best performing districts, police stations, and officers. 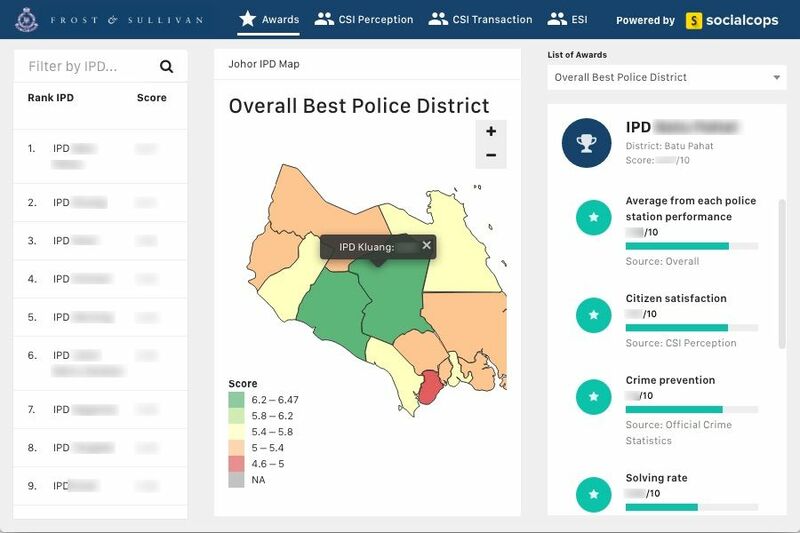 Frost and Sullivan partnered with SocialCops to use our platform to build a data-driven scorecard comparing each of Johor's 98 police stations. Frost & Sullivan had already conducted three primary surveys: Customer Satisfaction Index (CSI) perception, CSI transaction, and Employee Satisfaction Index (ESI). We used our platform to visualize the results by geography and rank each police station based on the survey results. 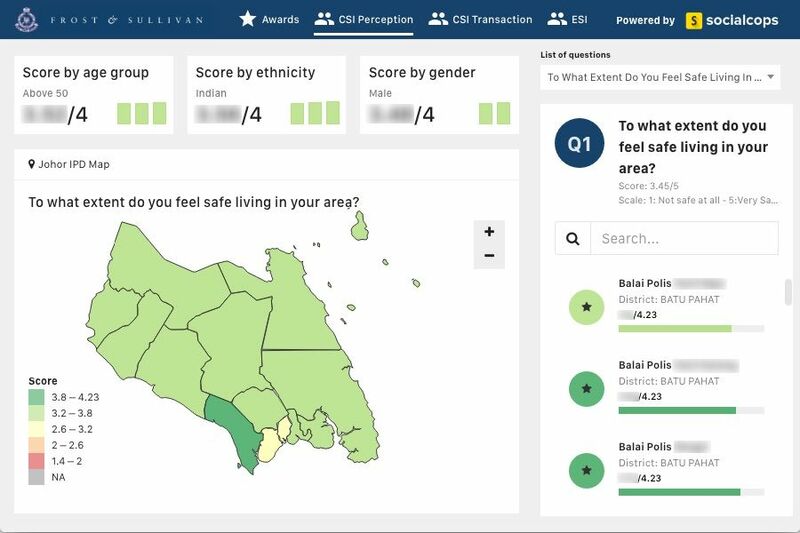 The dashboard showed what areas felt safest to citizens, how reliable and fair citizens perceived each police station, how satisfied police were at each station, and much more. SocialCops made our research data come alive with very professional interactive dashboards. 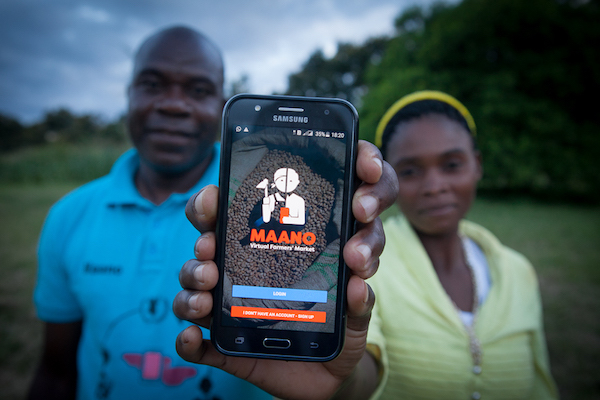 The dashboards look professional and have a simple intuitive user interface. KPI widgets made it easy to monitor each police station on important metrics, including breakdowns by age, ethnicity, and gender. Geospatial mapping made it easy to identify geographic clusters and insights that would have been impossible to see in a table. Users could drill down from overall scores to the question level. This helped identify what each police station was doing right and wrong. On top of their excellent technical skills, the SocialCops team are just nice people to work with! They were very patient and flexible and willing to adapt to our various requests. Use data intelligence to discover impactful insights within any data.